This Christmas We Will See Shahrukh, Katrina And Anushka Together On-Screen, Again! 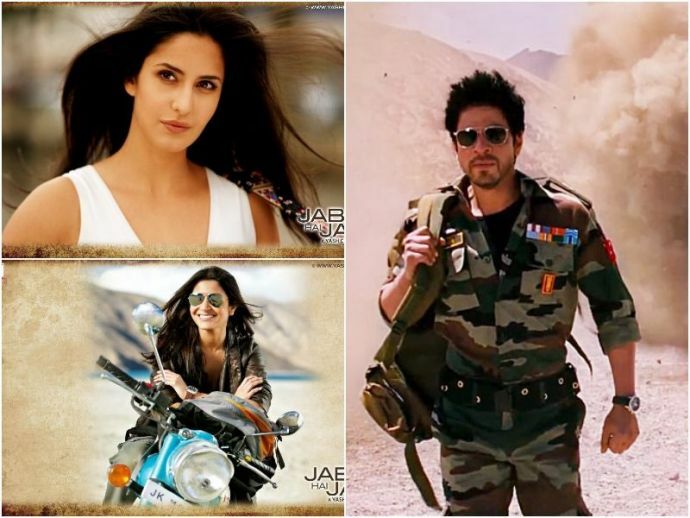 SRK, Katrina, and Anushka will be seen together on-screen after the 2012 blockbuster Jab Tak Hai Jaan. This movie has been grabbing attention ever since its announcement, maybe because of its cast or of the fact that SRK will apparently be seen as a dwarf in this movie. The movie will be directed by Anand L Rai and the big news is joining SRK as leads are Katrina and Anushka. While the director in an interview said, " I'm thrilled that Anushka joins Shah Rukh and Katrina for my next. From our very first meeting, she had an instant connect with the character. She seemed very excited about the challenges that this role entails, she is at a more than ready stage in her career to essay a complex role like this. We have been working on her look and prepping for the film." These three were together seen on-screen in the much talked about movie Jab Tak Hai Jaan. Well, our Christmas just got more exciting!